Indoor air pollution is a thing too, do you know? It is moreover a horrendous one. Carbon monoxide poisoning is one of the types of indoor air pollution. One surprising element to indoor air pollution is that it is not caused by external elements. The control and prevention of internal air pollution is very much under our own hands. 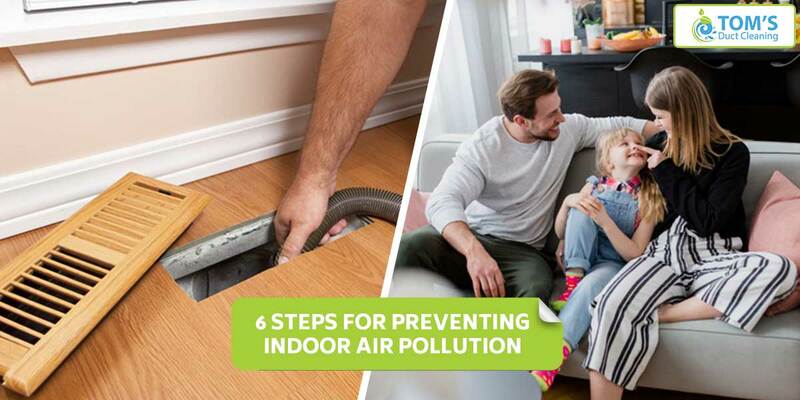 Here Tom’s Air Duct Cleaning – Melbourne professionals list out ways you can prevent indoor air pollution, before it gets too late. Check for the places in your house that release and causes the most amount of moisture These places are bathrooms and kitchens. You need a air duct ventilation system that is regularly maintained. These systems should allow the moisture and stale air to be exhausted outside. Ask your air duct cleaning professional to install a whole-house ventilation system that exhausts moisture, stale air and brings in fresh air. You quality test all food you consume and cosmetics you apply, why not the air you breathe nonstop? This the only way you can really know if a pollutant such as carbon monoxide or radon, a naturally occurring gas is present or maybe entering your house. Prevent carbon monoxide poisoning by carbon monoxide detectors. Read Related Article: How To Prevent Your Home From Carbon Monoxide Poisoning? Do you know even hair dryers can cause Carbon monoxide Poisoning? Be pro-active for your home whenever possible. Read the content of anything chemical before you buy them. Check and see if there’s a less harmful substitute for the same that will do the job. Normal fiberglass filters will absolutely do nothing for your indoor air quality. Better quality pleated air filters, with the minimum efficiency reporting value or also known as (MERV) of 5 to 8. Use them because they will not only protect the furnace from dirt, but will also trap smaller particles that you would not wish to be circulated in your room by your HVAC system. It is advisable to change the air filter at least every three months or more with respect to the amount of dust in your home. A huge number of species of indoor house plants are recommended for cleaner air. This is because of their ability to absorb harmful pollutants. Here are some of the most air cleaning plants: Peace lily and spider plant, English ivy, Gerbera daisy. An air cleaner is a substantial investment for one house, because it is good for the health of all occupants of the house. It cleans the air of the entire home. Portable air cleaners should be moved from room to room.